The Paperback version of Heather's book is Now Available on Amazon! The paperback version of Heather's book is now available on Amazon. Click here to order your copy. Please be sure to contact Heather if you will be featuring her book in your book club, church group, mother's group or DV group. She will be happy to speak at your group meeting. Thank you! Heather's Book is Now Available on Amazon! Heather's book is published and ready to download on Amazon through Kindle today! This is her true story of survival, heroism, and pursuit of justice. Click here to get this on Amazon. 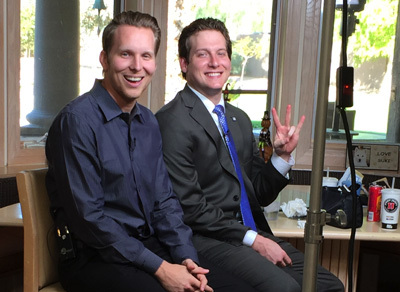 Heather's story was featured on Crime Watch Daily, which her sons were also interviewed for. (Below is a photo of her sons at the interview for this feature). Please click here to see the story! Good news! Heather's book is finished, and she is currently looking for a publisher. We will let you know once it's ready! 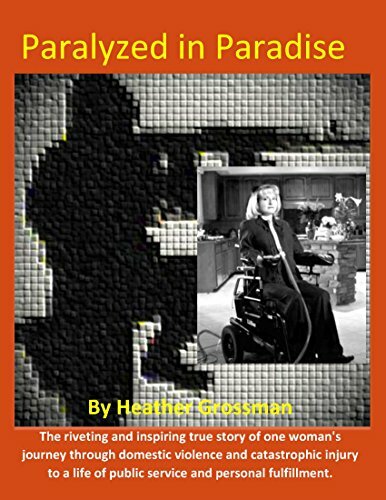 Watch Heather's 48 Hours special, "The Puppet Master"
This autobiography written by Heather Grossman will be inspirational to women and families. Her story has been told on 48 Hours Mystery and Dateline NBC. After many letters of encouragement she decided to publish her story and tell it all. Heather Grossman is a Valley woman who experienced domestic violence in two marriages. She was shot in the neck in 1997 by a man hired by her first husband after their divorce and custody fight; the injury paralyzed her from the shoulders down. In this article, Heather talks about her experience. Heather just launched Heather's Haven of Hope, a foundation that assists domestic violence shelters in Arizona. The purpose of the foundation is to provide assistance to victims of domestic violence and to educate the public on issues relating to domestic violence and its victims, including children of the victims of such violence. Please visit the site to learn more about the foundation. Recently, Heather's amazing achievements and cause were recognized by the United States President himself. Ms. Grossman was nominated by Senator Jon Kyl, R-Ariz., to meet with President Bush at the Oval Office in Washington, D.C. on November 6, 2007. Special Guest Heather Grossman, a mother, mentor, survivor of domestic violence, winner of the Ms. Wheelchair Arizona Pageant, and first runner up in the Ms. Wheelchair America Pageant, shared her heart-warming, amazing story of tenacity, unfortunate circumstances, overcoming the odds, and her devotion to changing others’ lives. Update: Read about Heather's visit to the White House here. Heather just received notification that she is invited to the White House in Washington D.C. on Nov. 6, 2007 to meet with President Bush in the Oval Office for a closed door meeting followed by a photo-op. She will be discussing domestic violence and people with disabilities. Kevin Kennedy at Channel 12 News in Arizona talks talks about Heather's story. Since Heather's new website launched on September 21 with the Paypal Donation Options, Heather's family has received a total of $95 in donations. We are hoping that this amount will increase significantly, but Heather's family is grateful for anything they can get. "To say that Heather Grossman is an amazing woman would be an understatement. In 1997, Heather's ex-husband hired men to kill her in a drive-by shooting in Boca Raton, FL. Even though her divorce was finalized two years earlier, her ex-husband continued to follow, have others trail, harass, and continuously make death threats to Heather." - From the Predators Newsletter. Read the full article at Predators.tv.